As far as audio goes, both these standards support multi-room audio playback, so you can send podcasts or music to several connected speakers rather than just one, and have your tunes follow you around from room to room. AirPlay 2 has added the option to pick speakers and control volumes separately from Control Center in iOS. As for mobile apps, as you would expect there’s no Google Cast support in the native audio and video apps for iOS, which are AirPlay only. 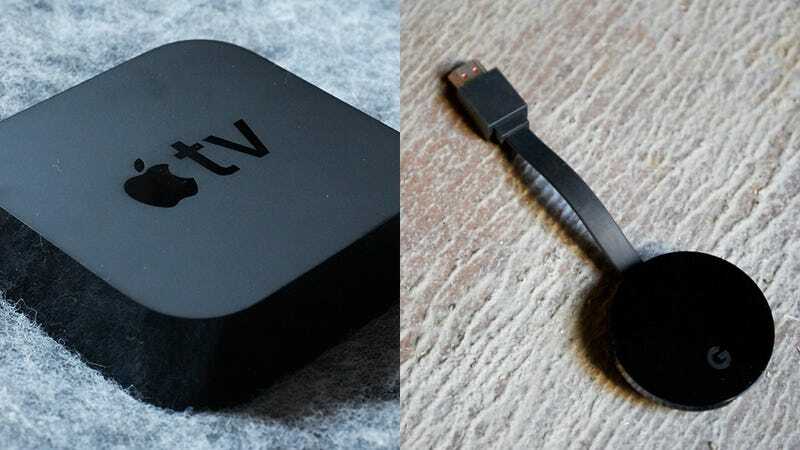 Just about every third-party app on iOS supports AirPlay, and must support Google Cast too, including YouTube (and YouTube TV), Netflix, Spotify, Hulu, and HBO. One notable exception is Amazon Prime Video, which only supports AirPlay on iOS.